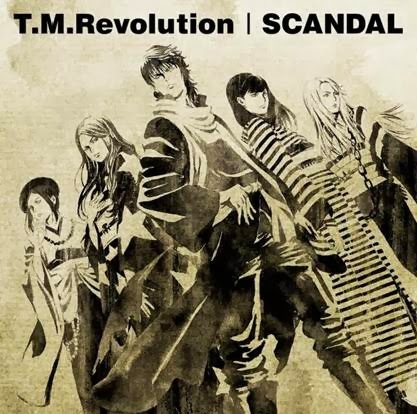 T.M.Revolution | SCANDAL, split single released!! For this game, T.M. Revolution and SCANDAL teamed up to create an amazing split single which is featured as the opening and ending theme songs. T.M. Revolution and SCANDAL each wrote and recorded new songs just for this project to coincide with the release of the game. This collaboration will surely excite all “Sengoku Basara”, T.M. Revolution and SCANDAL fans! 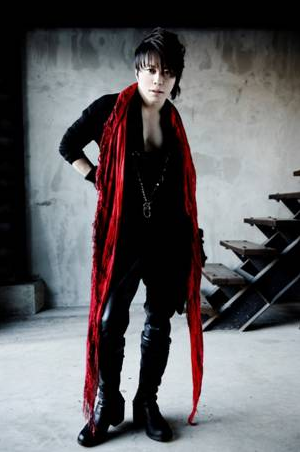 Takanori Nishikawa who was born in 1970 in Shiga prefecture made his debut in the name of T.M.Revolution (T.M.R.) in May 1996, with a single “Dokusai –monopolize-”. Since then, he has established a reputation as a singer with ear-catching tunes, intriguing, irresistible and perfect stage setting and live performances. Many singles have been picked up for theme of major animations and games including “Mobile Suit Gundam”, and “Sengoku BASARA”. Since debut, T.M.R. has built global fan base and reputation mainly among Japanimation fans. He has performed at major anime conventions in the US, such as OTAKON 2003 (@ Baltimore, MD, August 2003), Pacific Media Expo (@ Anaheim, CA and other cities, May 2004) and the local audience were dazzled by his dynamic performance. These activities led to his release of albums worldwide. T.M.R. launched his 10th anniversary project in 2005. He released single “vestige” in August 2005 charting No.1 on Oricon chart (Japanese version of Billboard) and released a self-cover album “UNDER:COVER” (all songs are requested by fans) in January 2006. In June, he released a CD and a DVD, both entitled “1000000000000”(pronounced billion) featuring all singles and music videos he had released until then and ranked NO.1 on Oricon chart. Also, T.M.R. went back to the US by appearing on stage for New York Comic Convention, the largest pop culture convention on April 19th 2008 in NYC. On September 19th 2012, T.M.R. released DVD and Blu-ray disc “T.M.R. LIVE REVOLUTION ’12 -15th Anniversary FINAL-” which contains footage of 15th anniversary tour final at Daiichi-Taiikukan, National Yoyogi Stadium in Tokyo. On September 2012, he organized a huge open-air rock festival “Inazuma Rock Festival” for the fourth time in his birth place Shiga prefecture. In 2013, he participated in OTAKON 2013 for the convention’s 20 year celebration. He’s currently expanding his field as an actor, voice actor, and host for a media program. 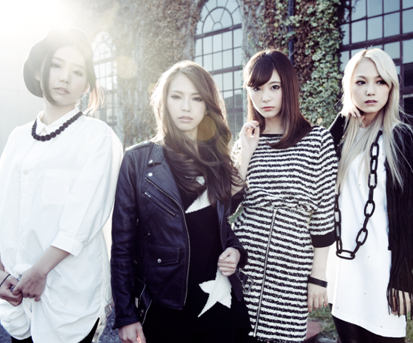 SCANDAL was formed in August, 2006 with four high school girls who went to the same vocal & dance school in Osaka, Japan. They started performing as SCANDAL with aggressive sounds with pop characters. After it was formed, they often performed on the street of they called Shiroten in Osaka Castle Park. After a while, they started performing at the live house in Kansan area.In March 2008, they were invited to Japanese culture convention Sakura-Con in Seattle, and they went around six cities in the U.S to see over 7,000 fans of them. In July 2008, they generated 10,000 people to Japan Expo in France and 8,000 to Anime Comic Fes in Hong Kong in August. In October 2008, they released “DOLL” as their debut single. “DOLL” was rewarded for Power Play from over 40 FM/AM/CS radio stations in Japan. In June 2009, they released their 3rd single “Shoujo S”, and it was ranked 6th in the first week on Oricon chart, and 5th on Reco-choku Chakuuta Full (Full digital download provider) weekly chart. On October 21st, they released their first album “BEST★SCANDAL” and ranked 5th on Oricon chart in their first week of the release. For the girls band’s album to be awarded within 5th in their first week of the release was the first time in 7 years and a half. In 2009, they were rewarded for New Face Award from Japan Record Award. – New Artist Their 7th single “Shunkan Sentimental” a tie-in song with the smash-hit animation series “FULLMETAL ALCHEMIST”, has again scored high on the charts. #7 on ORICON and #4 on the Reco-choku full (full track download) chart. They released their 2nd album “TEMPTATION BOX” in August 2010, and this was awarded 3rd place on Oricon daily chart. In October, “Scandal nanka Buttobase” was released, and awarded 3rd place on Oricon weekly chart, the highest ranking on Oricon weekly in their history ever. In April 2011, single “HARUKA” was released and it also ranked #3. In August 2011, their 3rd original album “BABY ACTION” was released, followed by “VIDEO ACTION”, 1st video clip collection DVD. They also went on Asia tour, first tour outside Japan, and gathered 2,500 audiences from Taiwan, Hong Kong, and Singapore. In March 28 2012, SCANDAL held the concert in Nippon Budokan, one of the high status venues in Japan. The band released a single “Taiyou Scandalous” in July 2012, and charted No.2 at Oricon weekly ranking. SCANDAL will be releasing a new single “Pinheel Surfer” and eagerly-awaited 4th album “Queens are trumps- Kirihuda Wa Queen-” on Sept.26.On March 3 2013, SCANDAL will be performing at Osaka Castle Hall, a venue with a capacity of 16000 people which they’ve ever dreamed of for a long time. The band will be performing in Malaysia on December 2012 for the first time. We can expect more of their activities in the near future!